As an enthusiast, you probably have quite the lengthy bucket list of automotive-related places you want to visit, certain meccas of speed that were built to worship the automobile. For over 20 years, the Petersen Museum in Los Angeles has occupied a place gearheads’ hearts as one of America’s greatest car museums. 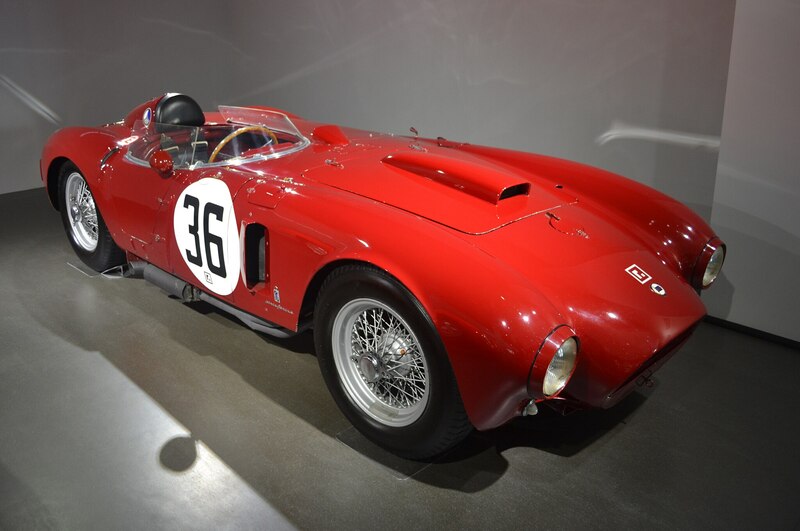 Now, fresh out of a $90 million renovation, the museum houses one of the definitive automotive collections in the world. 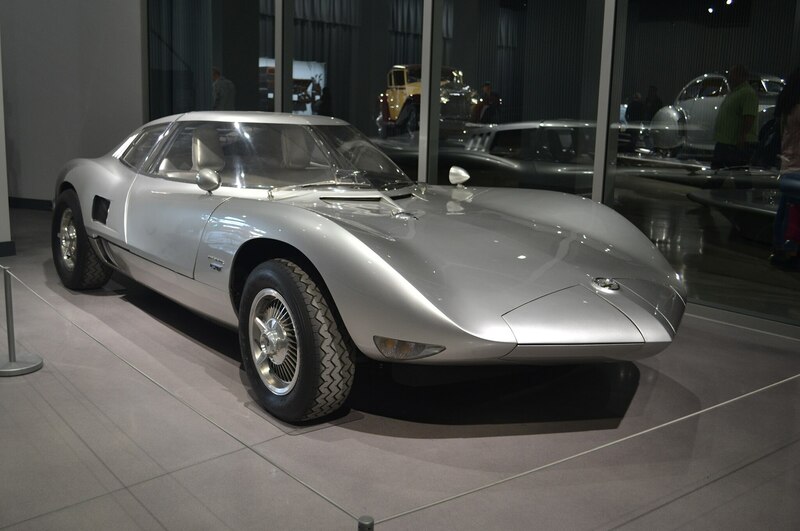 With 150 cars on display at any time, the museum hides a reservoir of more than 300 cars to slot into exhibitions as needed. When we visited, we picked out the best cars on display at that time. It was a gargantuan task, given the scale and range of the vehicles on display, but we managed to whittle it down to ten cars. When Jaguar finished its highly-successful D-Type racing program, the company converted a number of remaining D-Type chassis to a road-going spec, hoping to capitalize on Americans’ appetite for hi-performance cars from Europe. With only minimal changes made to the D-Type, the car qualified for competition in contemporary sports car events in the U.S. 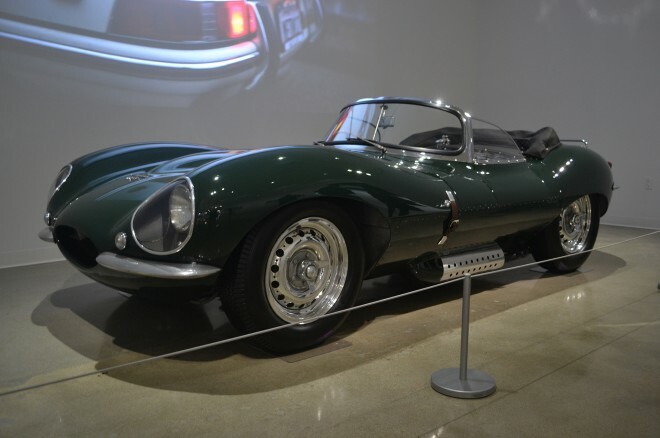 This particular 1957 Jaguar XKSS is likely the most famous example, having been the favorite car of legendary actor Steve McQueen. According to the Petersen, he received so many tickets in this car during the first year of ownership, his license was almost revoked twice. 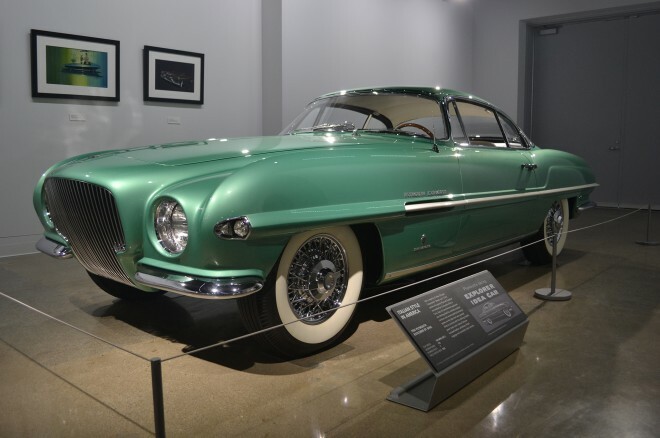 Just like the Ghia-bodied coupe we found in the Chrysler museum, this is one of the American automaker’s Ghia-designed cars. Created as a design study between Chrysler and Ghia, the Explorer cut a distinctively European profile next to its contemporary American counterparts. The story of Ford’s triumph over Ferrari at Le Mans in the 1960s is deeply cemented in the minds of car enthusiasts. 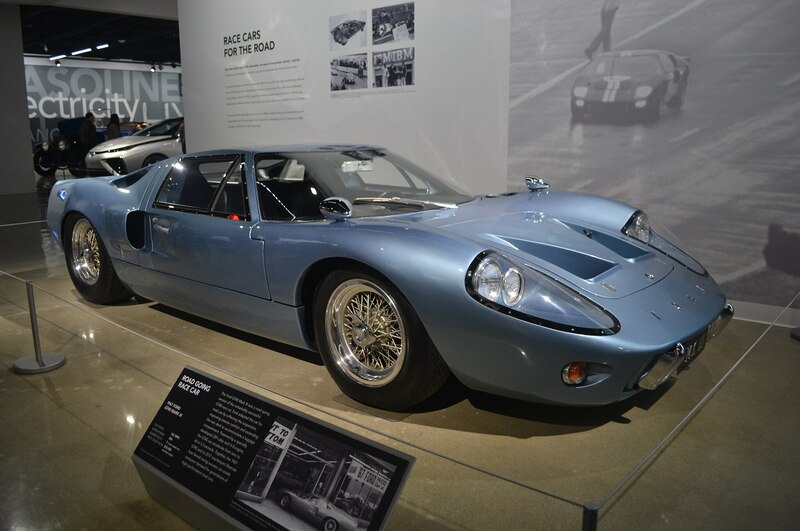 Here is one of the very few, very rare Mark III GT40s. Whereas the Mk. I and Mk. II were designed with racing as the primary focus, the Mk. III was created as a road-focused GT40. To that effect, the suspension was softened, the 4.7-liter V-8 detuned to 306 hp, left-hand-drive configurations were available, and a nice mix of leather was draped on the interior. As it sits, just seven of the MK. III GT40s made it out of the factory. Recognize this car? 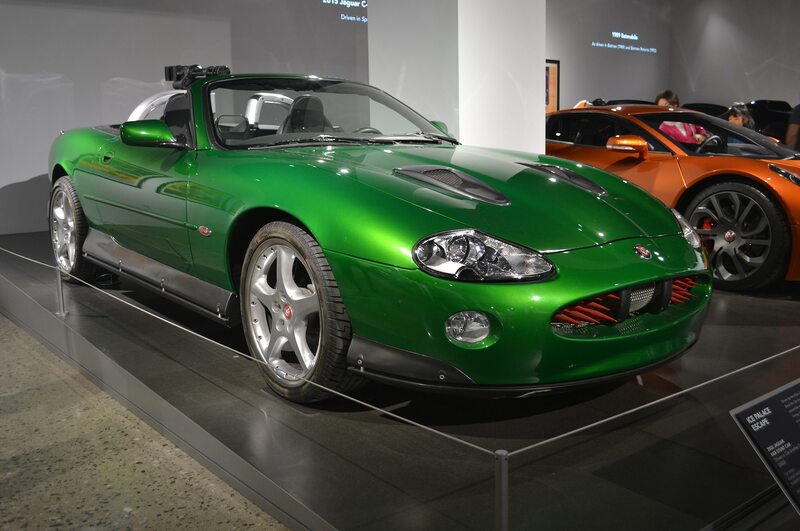 This was the anti-hero car from the 2002 James Bond film, Die Another Day. Bond’s Aston Martin Vanquish and villain Zao’s Jaguar got into a spectacular chase on a frozen lake. Underneath a curvaceous and lean exterior, the bones are actually created from a shortened Ford Explorer chassis, specifically chosen to cope with driving on ice at high speeds. This Jaguar is one of several prop cars, but this particular one featured the pop-out machine guns and missiles used to dramatic effect in the film. Considered to be one of the most advanced race cars of its time, the Lancia D24R stunned with a revolutionary design. Underneath the attractive body was a complex tubular structure, with independent suspension inboard four-wheel drum brakes. A 3.2-liter V-6 sent 265 hp to the rear wheels through a clever transaxle. Because of its cutting-edge status, some of the greatest drivers of all time found their way behind the wheel of this Lancia, including legendary wheelmen Juan Manuel Fangio and Alberto Ascari, the latter of whom piloted this Lancia to an overall victory at the 1953 Carrera Panamericana. 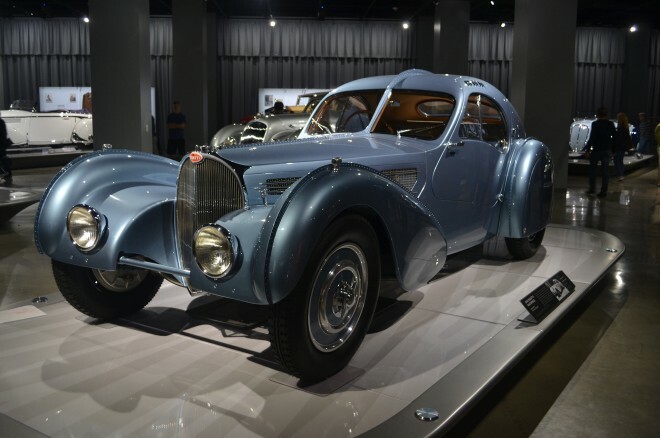 With incredible engineering, an otherworldly design, and one of the most prestigious names in the business, the 1936 Bugatti Type 57 Atlantic is one of the all-time great cars, residing at the tip-top of the classic car dogpile. This particular example, on loan to the Peterson from the fantastic Mullin collection, sold for between $30 and $40 million back in 2010. 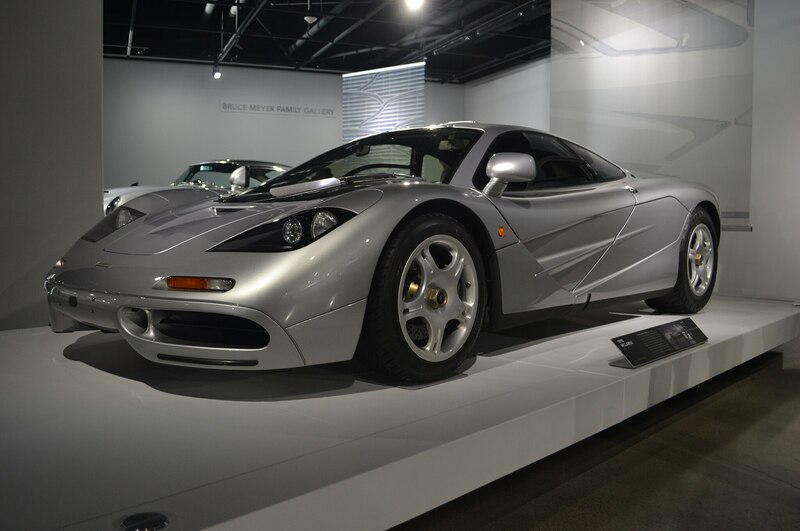 In no uncertain terms, the almighty McLaren F1 was the first true hypercar the world had ever seen. In a time when most supercars were bragging about their 200-mph top speed, the F1 blitzed by them on its way to a top speed of 243 mph. The brainchild of Gordon Murray, the F1 features a dizzying array of never-before seen technology. A 6.1-liter V-12 designed by BMW sent power to the rear wheels through a six-speed manual transmission. A no-compromise design led to the creation of a three-seat cabin design, with the driver placed in the center of the car. Comprised of parts from Essex, Mercury, Ford, and Plymouth cars, this roadster set the precedent as the first car awarded “America’s Most Beautiful Roadster” award back in 1950. 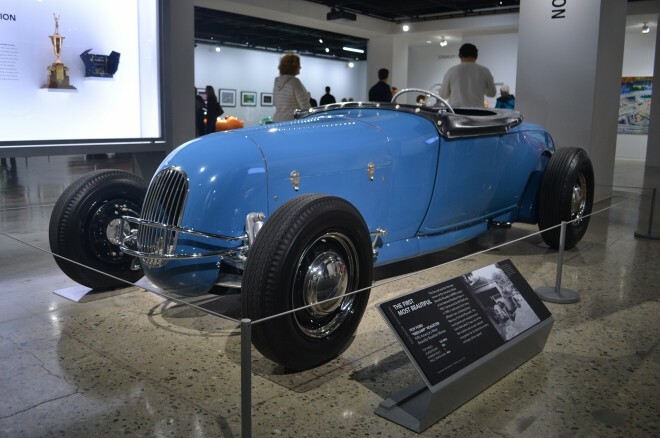 With this award under its belt, the roadster helped kick-off the American passion for high-level hot-rodding. As a Porsche fanboy, I was unable to choose a star between the cadre of competition Porsches in the museum’s motorsport section. 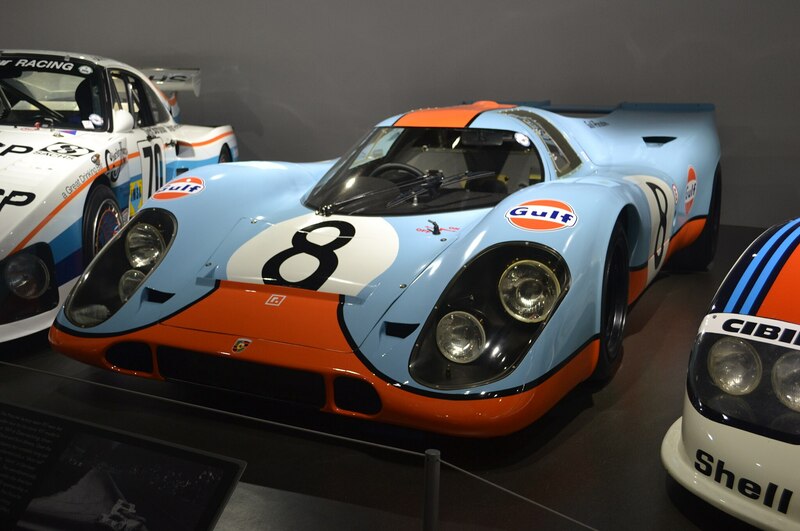 Sitting in a neat row, the Petersen shows off a 1980 Porsche 936 K3, 1969 Porsche 917K Gulf Wyer, 1980 Porsche 936/4 Martini Racing, and a 1986 Porsche 962 Rothmans Racing. Each car had its time on the international stage, and each one was immensely successful. Take a glance at this concept, and despair at what an unrealized performance variant of the Corvair could have looked like. With a mid-mounted flat-six engine, the concept was as visually striking as it was strange. No doors here, just a hinged canopy that lifted forward to accommodate entry.